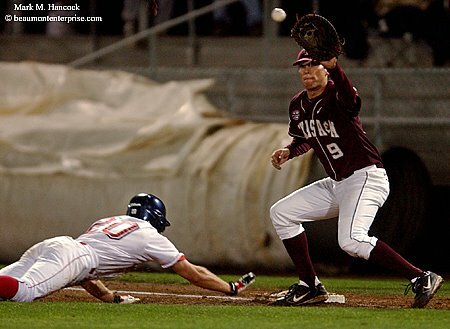 Texas A&M's Ryan Hill (No. 9, right) tries to pick off Lamar's Erick Kanaby (No. 20, left) at first base during a non-conference baseball game at Lamar University in Beaumont on Tuesday, March 25, 2006. Daniel Adams (left) and his mother Lana Adams (right) pose for a portrait at their home in Mauriceville on Wednesday, March 22, 2006. They want to start a group called Southeast Texas Wheels for paraplegics and other disabled individuals. The group will have its first meeting on March 30 (today) at North Orange Baptist Church. 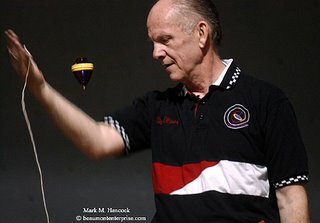 Dale Oliver, 1992 World Yo-Yo Champion, of Euless performs tricks with a top during an educational program at Highland Park Elementary in Nederland on Tuesday, March 25, 2006. 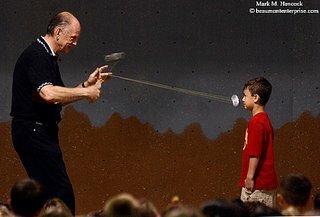 Dale Oliver, 1992 World Yo-Yo Champion, performs a yo-yo trick with 3rd-grader Evan Boden during an educational program at Highland Park Elementary. This trick is called "the shave." 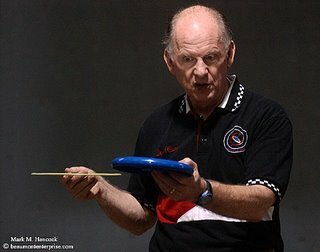 Dale Oliver talks about friction and speed as it applies to flying discs during an educational program at Highland Park Elementary. 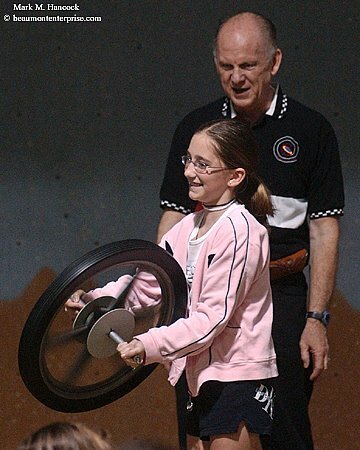 Dale Oliver has 4th-grader Katlyn Roberts demonstrate gyroscopic stability during an educational program at Highland Park Elementary. He uses yo-yos, tops, gyroscopes and other common toys to demonstrate and explain physics. Laura Hinton cuts yarn to price items at her Gingerbread Square antique store in Groves on Tuesday, March 14, 2006. The building was badly damaged during Hurricane Rita. She is trying to secure SBA loans to repair the building. 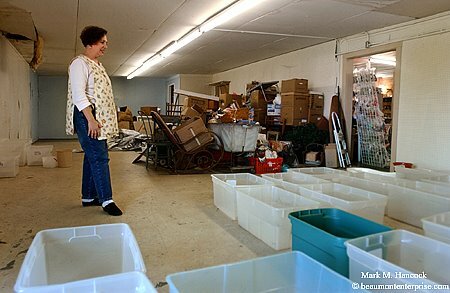 Laura Hinton inspects the back room at her Gingerbread Square antique store in Groves. She and her husband must stay at the business during rainstorms to empty the 48 large, plastic containers used to capture rain from the leaking roof. Gabriell Mattox poses for a portrait at Kountze High School in Kountze on Wednesday, March 22, 2006. She was named as The Beaumont Enterprise Super Gold Team most valuable player. 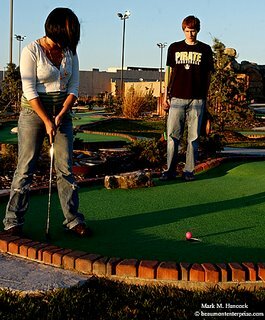 Jenelle Packard of Hemphill sinks a putt as her boyfriend George Williamson of Vidor watches at Colorado Canyon Miniature Golf Center in Beaumont on Tuesday, March 21, 2006. 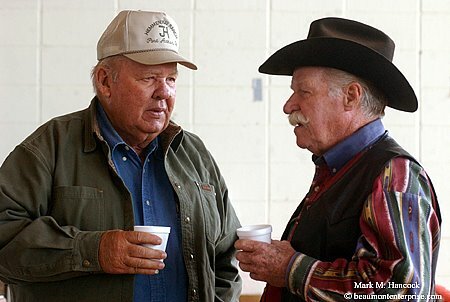 Ranchers bid on a bull during the Southeast Texas Independent Cattleman's Association 11th annual commercial bull and heifer sale at the Fair Park Coliseum in Beaumont on Saturday, March 18, 2006. Ring staffer David Neason (right) searches for bids during the Southeast Texas Independent Cattleman's Association 11th annual commercial bull and heifer sale at the Fair Park Coliseum. 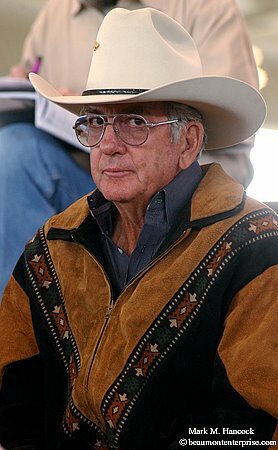 Jerry Gilbert of DeQuincy, La. eyes other bidders during the Southeast Texas Independent Cattleman's Association 11th annual commercial bull and heifer sale at the Fair Park Coliseum. W.E. 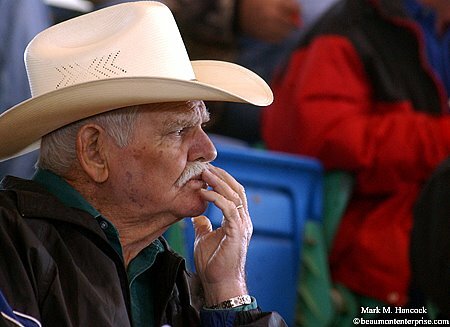 Sanderson of Honey Island, Texas observes the bidding during the Southeast Texas Independent Cattleman's Association 11th annual commercial bull and heifer sale at the Fair Park Coliseum. Jack Hemmenway of LaBelle and Thad Sitton of Buna talk over coffee during the Southeast Texas Independent Cattleman's Association 11th annual commercial bull and heifer sale at the Fair Park Coliseum. 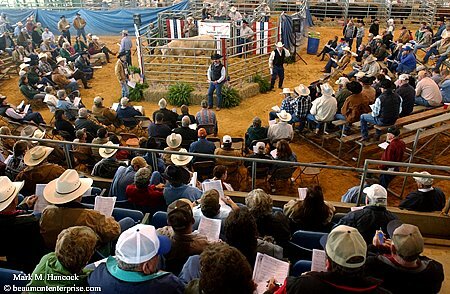 Real cattle auctions (as opposed to show auctions) are similar to a poker game. Each bidder doesn't want anyone to know how much s/he is willing to pay for a particular animal. Otherwise, other bidders or the animal's owner might counter bid and drive up the price. Consequently, all bids are extremely subtle. Simply looking at the ring staff or flicking a program up and down constitutes a bid. Through it all, the auctioneer issues a machine gun play by play of numbers. A gull flies outside a window at the Flagship Hotel in Galveston on Saturday, March 11, 2006. The hotel is constructed on piers over the Gulf of Mexico. This image uses several of the principles we've discussed recently. 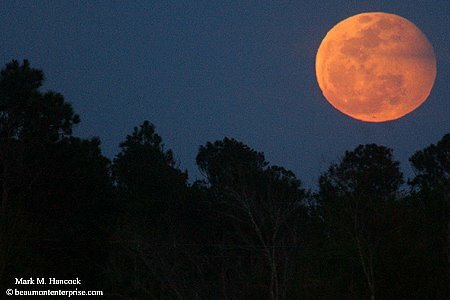 Primarily, it uses the rule of thirds, the Golden Ratio and contains no horizon line to complicate the image. We talked about the importance of making full-frame images to concentrate on composition. We’ve also discussed image skeletal structures. So, we should also discuss basic composition. First, let's discuss the elephant sitting on the camera. Photography is a two dimensional art form. Photographs contain height and width. No matter how hard we try (I've tried almost everything), photos can't have depth or time. Because most humans have two eyes, we must learn to see differently to report on a multi-dimensional world in only two dimensions. Once we understand and accept this limitation, we can work within the medium to create illusions of depth and make compelling compositions. As for the element of time, this is what makes still photography so powerful. 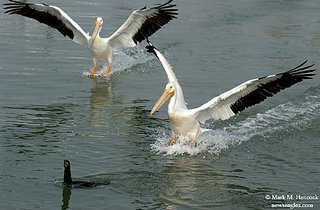 It can either capture one moment frozen in time or a timeless image. Both are strengths of this medium. Every image begins with a rectangle (or square in some medium formats). What's included or excluded from this box can either be attributed to technical or artistic abilities of the shooter. However, the first instinct is to catch visual goodies inside this box. We put mom in the box and click. We put friends in the box and click. Everyone does this at first. It's a natural part of the learning curve. This phase of photography is subject driven and works like a scavenger hunt. We wander around collecting people, tree roots, trash, etc. Through this process, we learn about photography basics: exposure, focus and timing. If we manage to point our box in the right direction and collect everything we want, we call this a composition. It may be random, but it's still a composition. We composed the image when we fit something inside a box. Much of the current "citizen journalist" trend ends here. This approach is subject based and applies no traditional rules. To get beyond this level, we must first understand some formal compositional rules. Often composition becomes a matter of competing rules and choosing which one best fits the subject or a deliberate attempt to break a specific rule. Composition is the assembly of elements into a whole. In writing, it's the art of arranging words into sentences and applying grammatical rules. 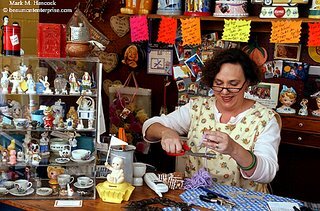 Photographically, it's an orderly arrangement of visual elements into an organized image with application of established rules. Yes, I know, all photographers love to break "rules." Fine, but don't do so in ignorance. PJs know the compositional rules and then break them. Who makes the rules? Painters, sculptors, architects and other artisans began making the compositional rules thousands of years ago. In more recent years, institutions such as RIT have studied the eye movements of subjects as they view photographs and more recently while the photographers are making images. But let's not go too fast and bypass the foundation. Composition is confusing. It isn't easy to understand because it's similar to a thousand people screaming in a room at one time. If they all scream the same thing at the same time, it's no problem. If they scream different things, it's hard to understand anything. To make composition easier, try to visually limit the voices in the room or limit the message they scream. Either approach leads to a more organized and easily understood visual message as well. Before we dive headfirst into composition, we must acknowledge compositional elements. From an artist's perspective, compositional elements are color, line, shape, texture, volume and tone. These are the building blocks of every image. For PJs, compositional elements are generally considered as abstract terms to describe real-world objects. We don't see a set of lines, tones and volume. We see a bookshelf. However, since the camera only records the compositional elements of an object, we must learn how to approach different subjects as sets of compositional elements. There are entire books dedicated to these six compositional elements. If readers understand them at this point, cool. If not, we'll get back to them later. Obviously, they're in every image we make. Visual elements are distinct groupings of shapes, colors and tones. These elements can be arranged from different perspectives to make variations of a scene. A ball by itself is a visual element. An athlete by herself is a visual element. However, when a basketball player touches the ball, they become one visual element. Likewise, when two separate elements align from front to back (from a camera position) they also become one visual element. This happens because cameras can't record depth. 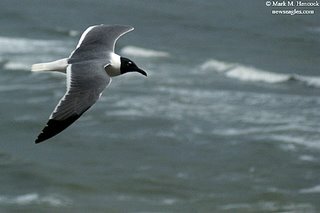 These first two examples show the importance of keeping separation of items within the frame. As long as each item has its own space, it's considered separate. Once a composition of key visual elements has good separation, other issues begin to appear. Frequently, these arise within one of the distinct elements. 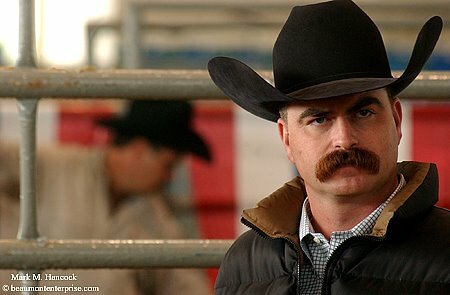 A person's face is comprised of eyes, a nose, a mouth, ears, eyebrows and possibly a mustache or beard. Each of these has a distinct shape and is considered a separate visual element in a tight shot of someone's face. They are all shapes and can be arranged in different compositions upon the blank film plane. Often, tone and color assist in the separation of elements. However, tone can override or complement the placement of visual elements. All silhouetted items near a similar plane are considered one item if the darkness of the silhouette connects them. Contrary to this concept, an image element in a spotlight immediately separates from similar items. Again, squinting at a scene lets PJs know if the tones are distinct or conjoined. Luckily for PJs, visual elements can be blended or separated at different distances and apertures. We don't need to obsess over different colors of leaves on a tree unless we choose to do so. I probably should break the following rules down to individual posts, but let's cruise through them and see if y'all bury me in questions. The rule of thirds is the most fundamental rule in photography. The rule dissects the image area into three equal parts laterally and vertically. The image is essentially cut into nine equal pieces. The most important norm of this rule is keeping the area of subject interest on the four intersections of these lines. In other words, place the main subject off-center to create a more pleasing composition. For a loose shot, a person's head could be placed on one of the four intersections (depends on which direction the subject is looking). For a tight shot, a subject's eye would be placed on the intersection. Another generally observed norm is to keep horizon lines within the upper or lower third of the image area. This applies to general images. For landscapes, use the rule of fifths (see below). Please see this Photoshop Shape Tool tip to quickly learn this rule or apply it to preexisting compositions. The rule of fifths is similar to the rule of thirds. However, this rule is specifically for landscapes. This rule places a horizon line in the bottom or top fifth of the frame. Its goal is to emphasize either the sky or the landscape without distracting the viewer. Rather than making the viewer choose whether the sky or land is more important, the PJ chooses the subject and eliminates the competing visual element. This allows the viewer to concentrate on the isolated subject (sky or land). If both are equally important, make two images. Don't allow them to fight for attention in one frame. Balance is a state of harmony of visual elements within an image. It strives to create an equilibrium of tone, weight and shape within an image on both sides of a vertical or horizontal axis. Balance applies to the totality of the image and how portions of the image fill the frame in a pleasing manner. Balance is not symmetry. An entirely symmetrical image is often balanced, but it's often boring as well. If all the subject matter of an image is contained within one-half of the composition, it's considered off balance. Typically, a severe crop handles the problem, but it's better to fill the entire frame in the first place. At this point, it's important to understand a frame can be "filled" with empty space. Balance is an aesthetic and subjective concept. Yes, it can be done mathematically, but it's often a matter of "feel." 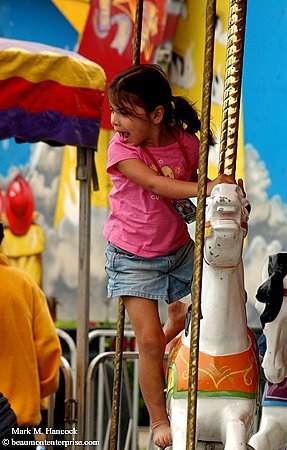 As a starting point for balance, consider the frame as a teeter totter in a playground. Large items can be offset or balanced against much smaller items as long as there is enough space along a linear plane (think lever). The trick to balance is accurately placing an imaginary fulcrum within the frame. For this abstract example, the element of balance compliments the element of volume (or weight) to find a pleasing visual compromise of space within the frame. As a starting point, understand visual elements placed near the bottom or sides of a frame have more visual weight. Items placed near the top of the frame are considered lighter. This is why a helium balloon at the top of the frame appears balanced. Likewise, a large, heavy stone at the bottom edge of a frame appears more balanced. To shake this concept further, the tones (lightness or darkness) as well as opacity of visual items give them weight and must be considered as well. In our previous example, balloons tend to be translucent and are frequently primary colors or white. Therefore, when used as compositional elements, they are considered light. The stone from the previous example tends to be opaque with a dark color. Consequently, it would be considered heavy. Unlike volume, tone can be reversed if dominant shapes within the scene dictate a different balance. For example, white stones against a black background still carry visual weight although the tonal weight is reversed. Likewise, black balloons against a white sky are still light because of the familiar shape and previous experience of the viewer and/or PJ. If this is somewhat confusing, don't freak out. It makes sense while looking through an eyepiece. 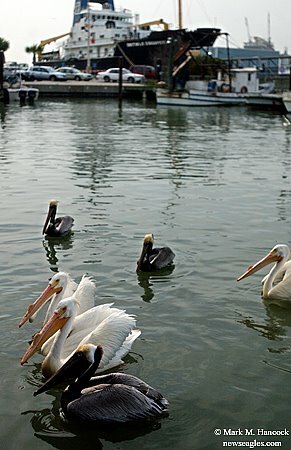 Pelicans wait for fish scraps near the wharf in Galveston on Saturday, March 11, 2006. IZ Funky Resale manager Kayla Harper answers a call as she renovates the new store on Calder in Beaumont on Friday, March 17, 2006. The Nederland-based clothier will open its new location on April 1, 2006. 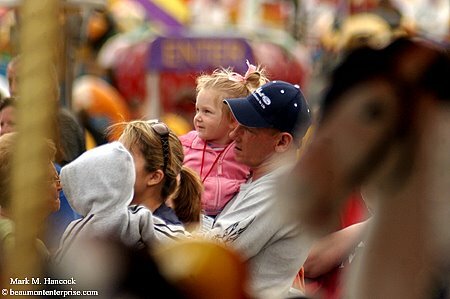 Ed Fontenot of Nederland (right) helps pick a midway ride for his granddaughter Teagan Murray, 2, of Bridge City (left) during the Nederland Heritage Festival in Nederland, Texas on Wednesday, March 15, 2006. 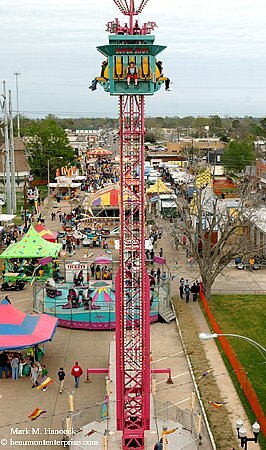 Riders anticipate a rapid drop on the Super Shot during the Nederland Heritage Festival in Nederland on Wednesday. 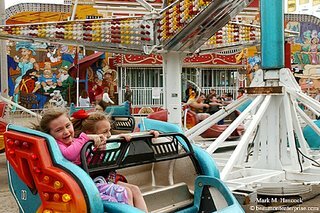 Sydney Morris, 6, of Nederland (left) and Cameron McEacharn, 6, of Kingwood (right) ride the Sizzler during the Nederland Heritage Festival in Nederland on Wednesday. 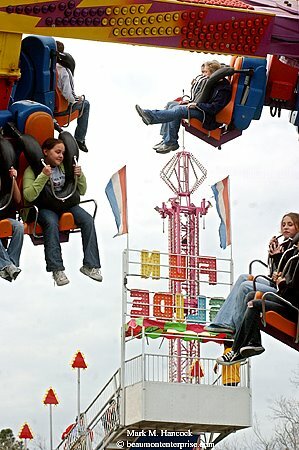 Teens enjoy an extreme ride during the Nederland Heritage Festival in Nederland, Texas on Wednesday. 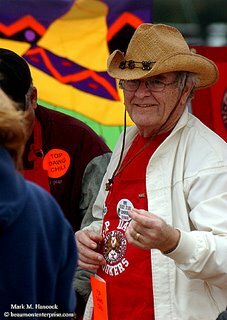 Spring, Texas resident and "Nederland Alumni" Sam Bass of the Top Dawg Cookers talks up his team's chili during a chili cook-off at the Nederland Heritage Festival in Nederland on Saturday, March 18, 2006. 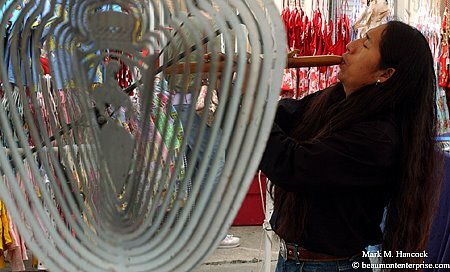 American Indian musician Wakay Cacuango (cq) of Nashville, Tenn. plays flute during the Nederland Heritage Festival in Nederland on Saturday. Jade Moore, 4, of Groves trick rides a carrousel horse during the Nederland Heritage Festival on Saturday. Fayrouz went with me on Saturday and was armed with a D1H as well. Check out her images. 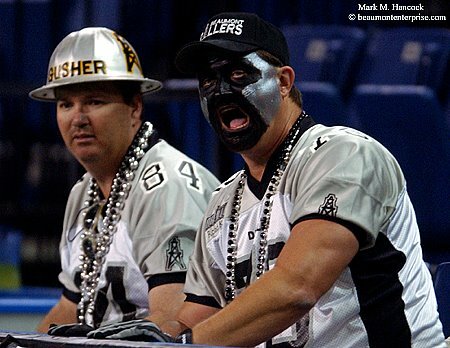 Construction workers Bryan "Gusher" Shoemaker of Port Arthur (left) and Robert "Sportznut" Winfrey of Nederland (right) make noise during a National Indoor Football League game between the Beaumont Drillers and the Arkansas Stars at Ford Park in Beaumont on Saturday, March 18, 2006. Beaumont Drillers quarterback Damone Scott (No. 10, center) gets sacked by the Arkansas Stars defense during a NIFL game at Ford Park in Beaumont. 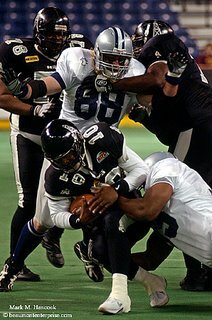 Beaumont Drillers' Pat Palmer (No. 3) dodges Arkansas Stars players to make a touchdown during a NIFL game at Ford Park. Beaumont won the game 55-49. Joyce Hadnot reflects on an iron as she works on clothes at the Laundry Lounge on College Street in Beaumont on Thursday, March 16, 2006. The formerly home-based business now has a storefront and will hold a grand opening on St. Patrick's Day. 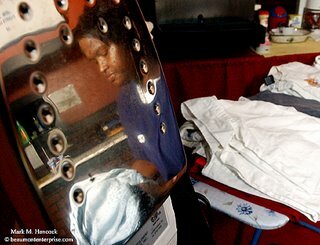 Joyce Hadnot works on clothes at the Laundry Lounge on College Street in Beaumont. 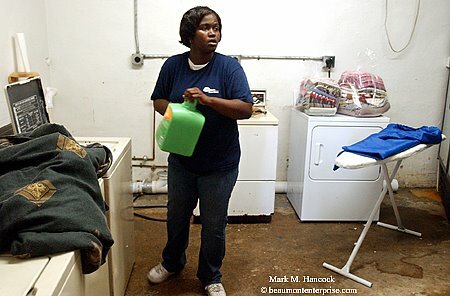 The business collects, cleans and delivers laundry, normally on the same day. 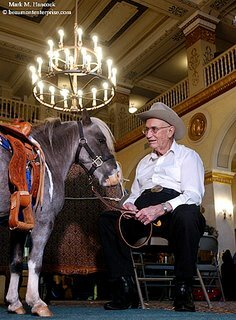 Hotel Beaumont resident Joe Arena cares for his daughter's 5-year-old miniature horse Beau Jangles during a Western hoedown party at the assisted living facility in Beaumont on Thursday, March 16, 2006. Debbie Wiggins with Rodeo Ranch of Beaumont brought the horse to the hotel as part of the festivities. 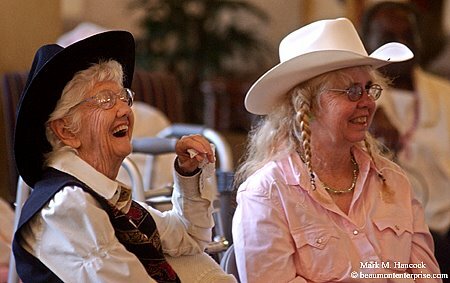 (Above) Wanda Morris (left) and her daughter Kathy Morris (right) share a laugh during a Western hoedown party at the Hotel Beaumont. 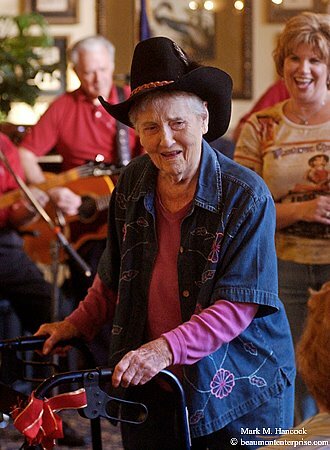 (Right) Dorothy Woods dances to the tunes of Cajun-Country Classics during a Western hoedown party at the Hotel Beaumont. A full moon rises in Beaumont on Tuesday, March 14, 2006. Fayrouz has a post on one of her blogs about St. Patrick's Day and the official word from the church about Irish-American Catholics eating meat today. Imagine risking your life to make a photograph. You go through the steps to get a proper, registered copyright. Next, imagine the photograph later appears in a national advertising campaign without your knowledge, approval or payment. Then imagine not having any legal recourse to get proper payment, damages or even legal fees. This is the crux of a proposed "Orphan Works" amendment to the U.S. Copyright Law. The ASMP and other organizations around the world are urging photographers and those who care about photography's future to write letters to Congress to stop this action. 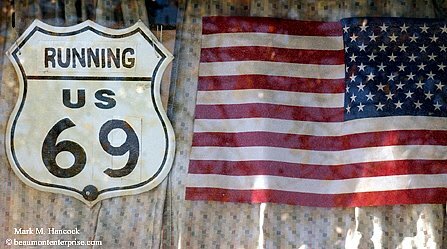 If it passes, it'll effectively eliminate all protections photographers currently have for images published inside the U.S. If successful, it's possible this gutting of copyright protection could take root in other countries worldwide. ASMP has produced a detailed call to action, sample letter and congressional fax contact information. Although faxes are harder to ignore than e-mails, you can also e-mail your congressional representatives. If we do nothing else this decade, let's stop this one action. I understand this requires time and effort. But if this amendment passes, it'll require much more time and effort later (looking for a new profession). Folks who are new to this industry or still in college have the most at stake. If this passes, advertisers and editorial markets would have no motivation to pay for images. Once an image gets published, it could become free. This is also a great time to start blasting large national publications that run our images without credit -- although our AP instructions specifically state "mandatory credit." Under the proposed amendment, these would be "Orphan Works" and could be used for free without remedy. This alone would be enough to keep many of us from submitting any images to AP. Consider the chilling effect this action would have on visual information. If only images published with credit lines have any protection, and some media outlets choose to change credit lines to "AP photo" (which they are not), then PJs and their media outlets would only lose money by submitting images to AP. Consequently, most won't. Please act on this legislation before it's too late. Please also bring this issue to the attention of your directors of photography, managing editors, publishers and company attorneys. UPDATE: Sign the Pro-Copyright Petition. The window of Geores Buttner-Clevenger's Volkswagen camper proclaims his goal in Beaumont on Tuesday, March 14, 2006. 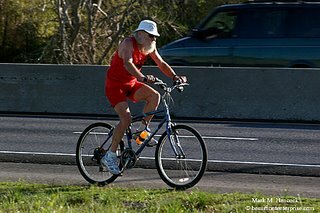 He plans to run and bike the entire length of U.S. Highway 69 in 6.9-mile sections. 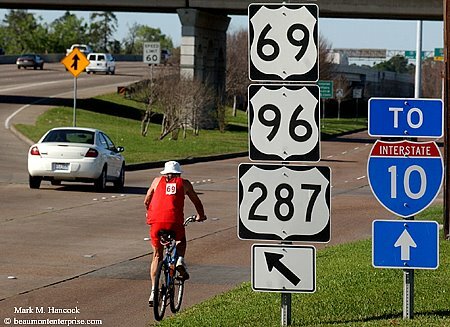 Geores Buttner-Clevenger, 69, of Berkeley, Calif. prepares to run along U.S. Highway 69 in Beaumont. 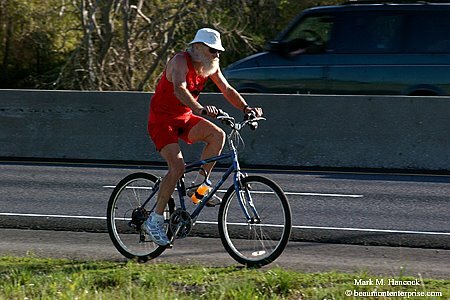 He already ran U.S. Highway 66 when he was 66-years-old. 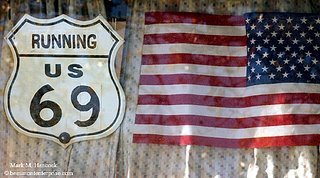 Geores Buttner-Clevenger leaves his camper near U.S. Highway 69 in Beaumont. To accomplish this goal by himself, he rides his bike from his camper for 6.9 miles. 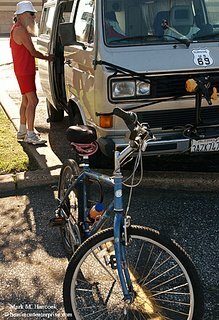 He locks up the bike and runs back to the camper. Then, he drives back to the bike. He tries to run two 6.9-mile distances each day. Geores Buttner-Clevenger bikes along U.S. Highway 69 in Beaumont. 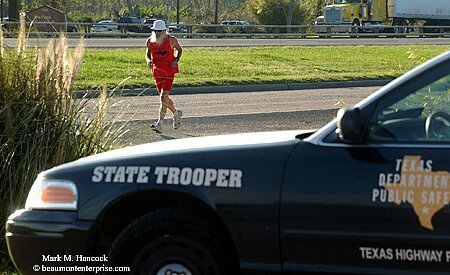 Geores Buttner-Clevenger runs past a Texas State Trooper's vehicle along U.S. Highway 69 in Beaumont. Pelicans ski to a landing near the wharf in Galveston on Saturday, March 11, 2006. When covering election night parties, it's important to find an image to represent a win, a loss and a neutral situation. Then, the newspaper is covered under all circumstances. 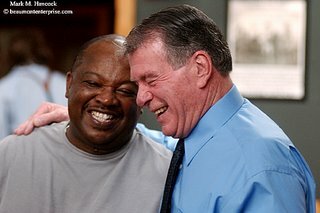 Ron Walker laughs with Rickey Collier of Beaumont during an election party at the Rockin A Cafe in Beaumont on Tuesday, March 7, 2006. Walker won the initial ballot count for county judge in the Democratic primary election, so this image ran in the final edition of the newspaper. 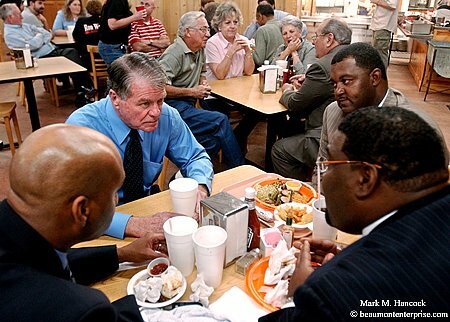 Ron Walker reflects for a moment during an election part at Rockin A Cafe in Beaumont. If Walker lost the initial ballot count, this image would run in the final edition of the newspaper. Ron Walker (left) talks with (clockwise) Sebastian Young of Houston, former NFL player Jerry Ball of Houston and Calvin Williams Jr. of Beaumont during an election party at the Rockin A Cafe in Beaumont. For an early edition with no clear winner, this image could have run in the newspaper. Several PJs view covering elections somewhere between prostate exams and root canals, but elections are actually the most important event we document. Even at the local school board level, the elected officials control millions of tax dollars. At the state level, it's billions. Nationally, it's trillions. 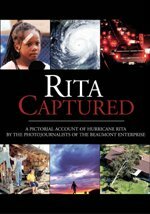 In addition to fiscal responsibilities, many elected officials are additionally charged with the safety and security of residents (note the difference between hurricanes Katrina and Rita). Consequently, readers/taxpayers should be very concerned about who wins and loses these elections. Before we begin, let's discuss a common misconception about newspapers. Newspapers are not required to be fair. Any newspaper could run house ads for any candidate and refuse to run an opponents' ads. Nothing can be done about it. Some partisan papers actually do similar activities, but they do so at the cost of losing readers and advertisers. This is part of newspaper history. It's also part of freedom of the press. However, it's often economic suicide to refuse ads or to give ads away. So, most papers happily take everyone's ads and try to stay relatively neutral except on the editorial page (I'll explain Op/Ed another day). Television and radio transmitted over publicly-owned airwaves don't have the same luxury. According to Section 315 of the Communications Act of 1937, they are required to give "equal opportunity" to all legally qualified political candidates for any office. Equal opportunity only means they must offer the candidates the same amount of time (paid or unpaid). If a candidate can't afford the same number of ads, tough. The same amount of time was offered, and the candidate(s) chose not to purchase the same amount of air time. There are exceptions of course. Two significant exceptions include suspension of this rule for televised debates between the two major party candidates (excluding third party candidates). Broadcast journalists are also exempted from this rule to allow political interviews. But what about the Fairness Doctrine? The Fairness Doctrine was established by the FCC and not by Congress. As such, it was a regulation and not a law. Furthermore, it applied to controversial issues of public importance -- not to elections. As cable television emerged and the Reagan administration deregulated broadcast television, the FCC dissolved the doctrine in August 1987. However, Section 315 remains for publicly-aired television. The democratic process of peacefully electing leaders is by far mankind's greatest achievement. There is no need for violent upheavals when a government can be overturned through the ballot boxes. Unfortunately, there is no "one size fits all" to covering elections. From what I can tell, each state, city and polling location is radically different in how they deal with PJs. In Dallas, I frequently shot folks voting inside the polls. In Southeast Texas, the election judges are completely different from location to location. PJs in Florida need riot gear and bail money. As a general rule, walk into the polling place and ask for the election judge. Identify yourself and your organization and request permission to photograph the election process in general terms. Insist that you have no intention to shoot how people are voting nor ask how they voted. You merely want images of willing folks exercising their civic duties. Typically, it's easy to get people to let you shoot them if you can get past the election judge. After all, they're proud they're voting. It's like folks who give blood. It's honorable to do both. If turned away by the election judge at one location, keep trying other locations. Eventually, one lets (still) PJs in to document a fair election and show that nobody was busily stuffing boxes. If time is short and/or no election judges are being cooperative, PJs can always shoot outside the electioneering boundary (100 feet in most places). This line is marked with a notice. Beyond this distance, nobody can stop a PJ from shooting. It's not the ideal option, but if folks are working the parking lot, it can work. For major primary and final elections, election result parties typically exist. These are gathering places where the election workers for particular candidates or parties gather to await results and relax/celebrate after a long haul of herding voters to the polls. Most election parties welcome PJs. This is their chance to celebrate their great victory and thank campaign workers with a soda and some barbecue. Whether the candidate wins or loses, it's advantageous for the candidate to have this documented and published. These parties are typically held in a private residences or at supporting restaurants. The election reporters know where the party will be held or at least the cell number of the candidate to get the location. Occasionally, PJs may get grief from someone at the party. This is often a result of campaign workers not knowing the difference between news staff and editorial page staff. On a rare instance, the candidate may not want to allow a PJ to cover the election party. Typically, smaller elections are only covered during meet-the-candidate events, open debates and on election night. Only presidential campaigns are covered from beginning to end. Even then, the campaign trail is typically only covered when a local candidate is running or as long as there is a pack running for the party nomination. Once a finalist is put forward, coverage backs off to relatively equal coverage through election day. There are exceptions of course, but most general newspapers try to play relatively fair. Before we get into what's expected from PJs on election night, let's understand how the overall decisions are made for PJs. Obviously, PJs don't pick who they cover. They get an assignment, and off they go. They're expected to submit the same story-telling shots for any candidate. Unopposed candidates are unlikely to be covered on election night. The result is predictable. Competitions with 15 similarly-qualified candidates are also unlikely to be covered because only one hole exists in the paper per election category and the number of PJs is always limited. Consequently, evenly-matched contests are most likely to be covered. Frequently, these contests are identified by early voting numbers (either even numbers going into election day or an unexpected lean toward one candidate). The position which holds the most power (and tax dollars) rises to the surface of these contests. If a particular election also involves a "love them or hate them" ingredient, it blasts to the top of the assignment list. When all these ingredients are present in a two-person election (primary or final), it's obvious who's getting covered. Supporters of candidates are often family and friends of the candidate. They may support a candidate on a semi-tribal level although they may not agree with any of the planks of a particular platform. If this is a commonly known situation, try to find some visual manifestation during the campaign or election party. Likewise, campaign backers often gain lucrative contracts when a particular candidate wins. If possible, know who key financial backers are before the election party. Otherwise, remember to ask for affiliations in addition to names while collecting cutline information. How have you supported this candidate? Why are you supporting this candidate? Most daily morning newspapers run key elections either on the front page or on the Metro page. These pages typically get put to bed for the first edition before 10 p.m. The last edition (box/home) goes to bed around midnight. These deadlines are absolute. Although the election tabulations may last until the next morning or (as in Bush v. Gore) many weeks, images must be prepared and ready for all three editions. Unfortunately, most polling places don't close until 7 p.m.
Consequently, PJs can only expect to have about an hour or 90 minutes to capture the required shots before it's time to either transmit or return to the newsroom. Since we understand the deadline often occurs before most votes are counted, we must shoot for any outcome. Typically, PJs focus on the candidate during an election party and try to get images to show a win, a loss and a neutral. A win shot is a happy shot. 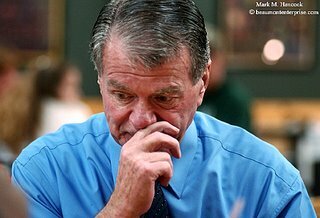 A loss shot involves a reflective moment or outright emotional reaction. The neutral shot is the deadline shot. The neutral shot is used typically in the first edition newspaper when no candidate clearly leads. The neutral shot often includes the candidate with primary campaign backers or celebrities. However, try to get these people when they show no discernible expressions - it's merely a conversation with recognizable people. Throughout the shoot, PJs look for breaks in the candidate composure. Politicians frequently control their emotions and wear a smile at all times (look at recent indictment images). Because politicians are aware every move is being intently watched during the election party, they're even less likely to show anything other than a winning personality. However, elections are stressful and problems are common. Frustration with machines, reporting delays and other problems can make a candidate momentarily lose composure. It's typically only a split second, but it's the story-telling image if it happens before deadline. 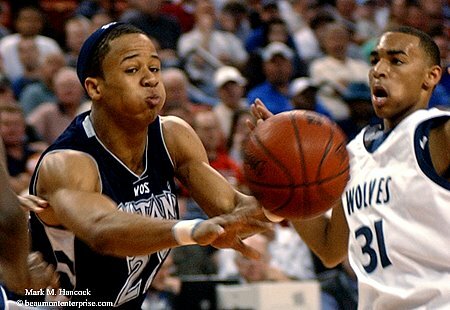 West Orange-Stark's Earl Thomas (No. 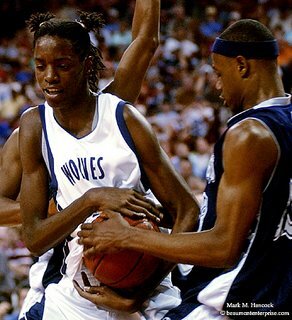 22, left) aims at the bucket past Carrollton Ranchview's Jermydrell Burton (No. 5, right) during a final four playoff basketball game at the Frank Erwin Center at the University of Texas in Austin on Thursday, March 9, 2006. Carrollton Ranchview High School won the game 77-52 and advances to the 3A state championship. West Orange-Stark's Richard Netherly (No. 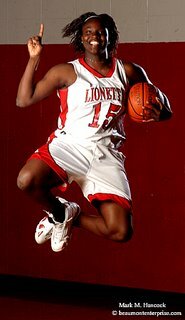 33, right) and Carrollton Ranchview's Jermydrell Burton (No. 5, left) wrestle for the ball during a final four playoff basketball game at the Frank Erwin Center at the University of Texas in Austin. West Orange-Stark's Richard Netherly (No. 33, left) moves around Carrollton Ranchview's Jermydrell Burton (No. 5, left) during a final four playoff basketball game at the Frank Erwin Center at the University of Texas in Austin. 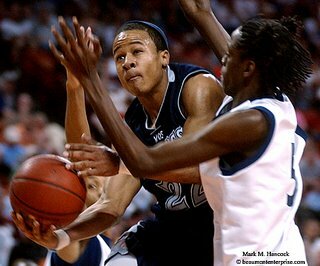 West Orange-Stark's Earl Thomas (No. 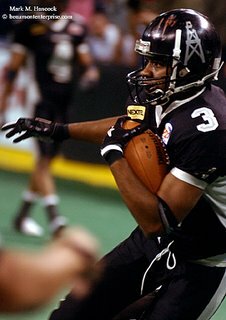 22, left) passes by Carrollton Ranchview's Antwone Matlock (No. 31, right) during a final four playoff basketball game at the Frank Erwin Center at the University of Texas in Austin. 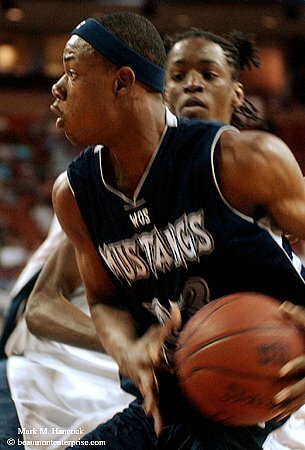 West Orange-Stark's Jeran King (No. 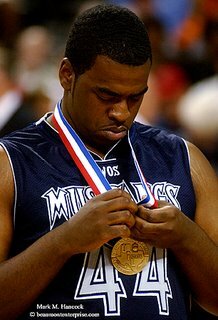 44) admires the medal he earned during a final four playoff basketball game against Carrollton Ranchview at the Frank Erwin Center at the University of Texas in Austin. Carrollton Ranchview High School won the game 77-52 and advances to the 3A state championship. 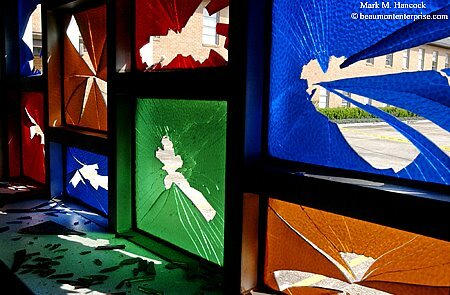 Many windows were broken at the McDonald Memorial Baptist Church in Orange, Texas on Tuesday, March 7, 2005. 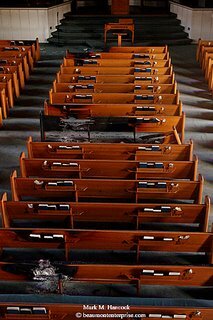 Arsonists set multiple fires in the church on Monday. Two teens have been arrested in connection with the church fire and other vandalism around town. Church officials, including pastor Danny J. Gilliam (center), inspect fire damage at the McDonald Memorial Baptist Church in Orange. 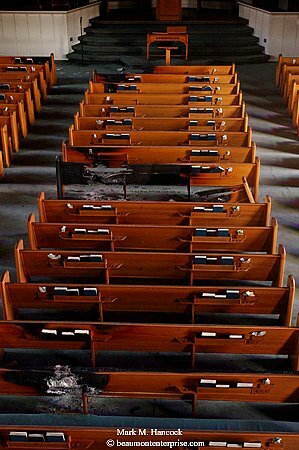 Fire damage is evident in several locations at the McDonald Memorial Baptist Church in Orange. 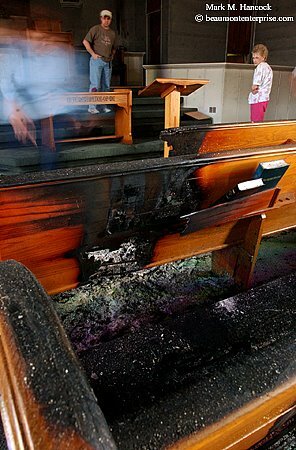 Arsonists set multiple fires in the church on Monday.